We’re emptying out the fridge and avoiding creating more leftovers right now, so I needed an easy, storable recipe for today. Luckily, we have more herbs growing than just mint. I took advantage of our full sage bush to make some sage butter! 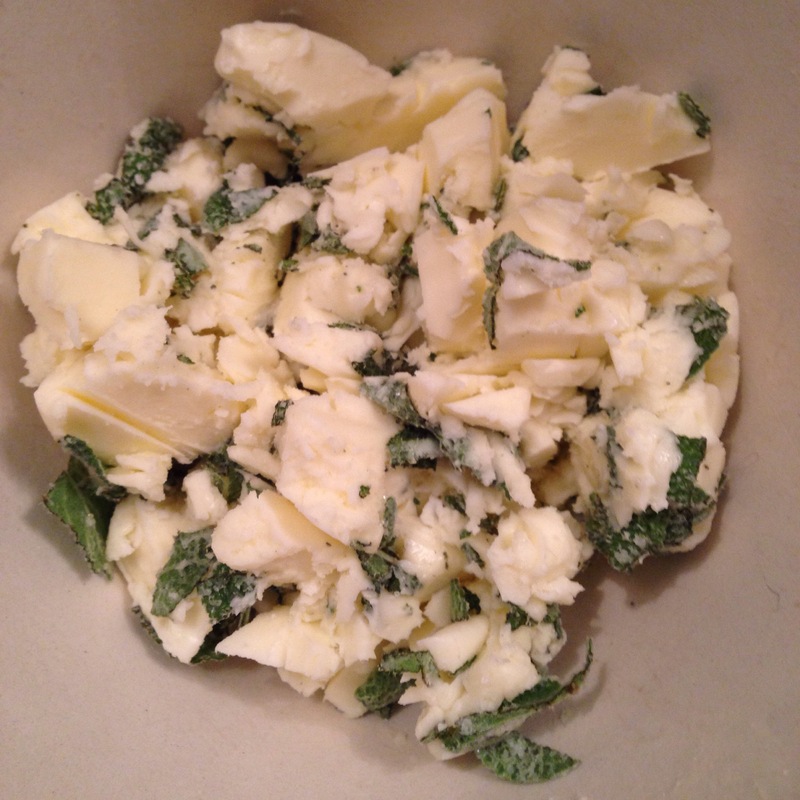 I sliced up about 8 leaves of sage and combined with a stick of softened butter and a pinch of salt. 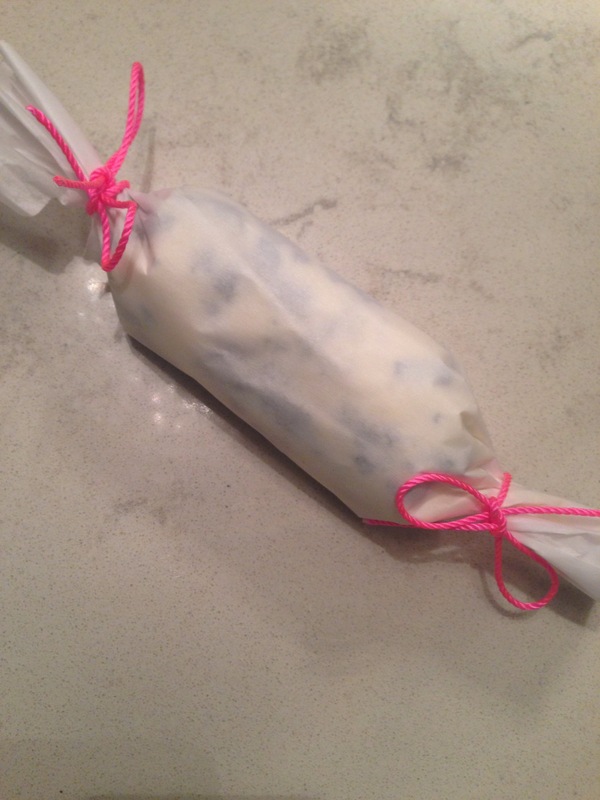 After leaving the mixture to infuse the butter for about an hour, I transferred the butter to parchment paper and rolled it into a tube, tying the ends with ribbon. Now, I’ll store it in the freezer until I come up with some good ways to use it! I’m thinking it would compliment pork or chicken. It would also pair well on top of popcorn or maybe on some toast! I’m excited to find new ways to use up the herbs that would have simply withered away in the garden!